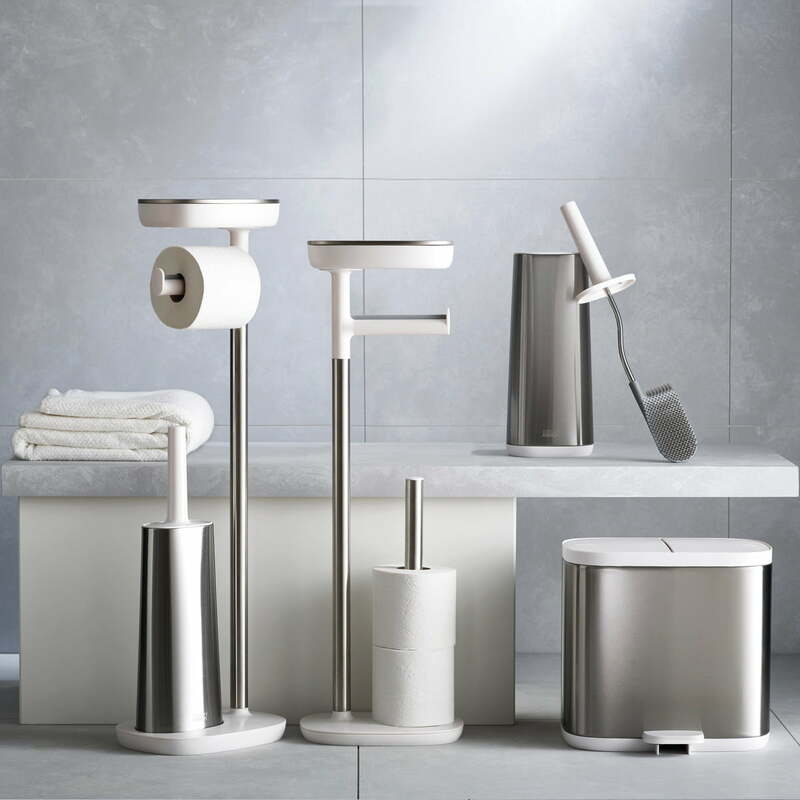 The EasyStore Plus toilet paper holder with Flex Steel toilet brush by Joseph Joseph combines two essential bathroom accessories and is also equipped with ingenious details. 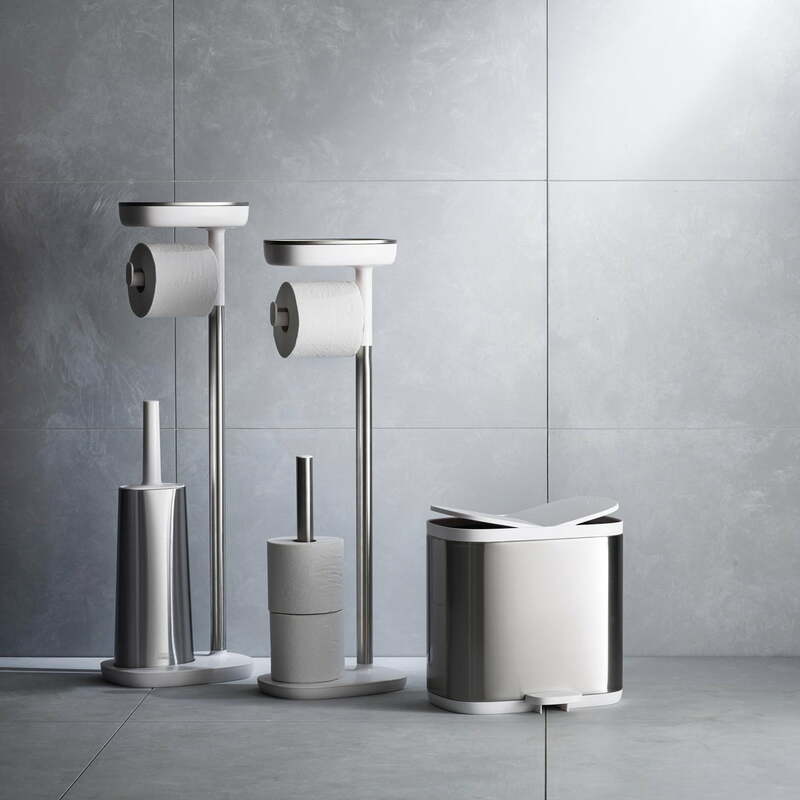 Made of stainless steel and white plastic, the free-standing holder fits perfectly into any bathroom and ensures a stylish upgrade. A silicone strip on the roll holder provides resistance when the sheets are torn off and prevents the paper from unrolling too quickly. Directly above the holder is a practical base for storing a book or mobile phone. It also has a small, hidden compartment in which, for example, toiletries can be stored discreetly but within easy reach. 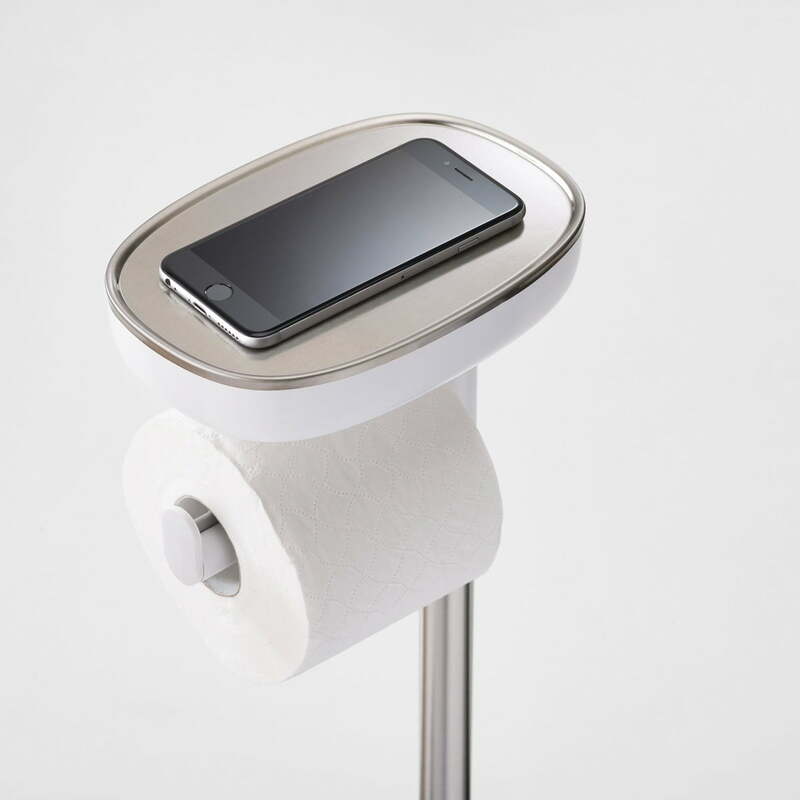 The toilet paper holder is completed by the matching Flex Steel toilet brush. 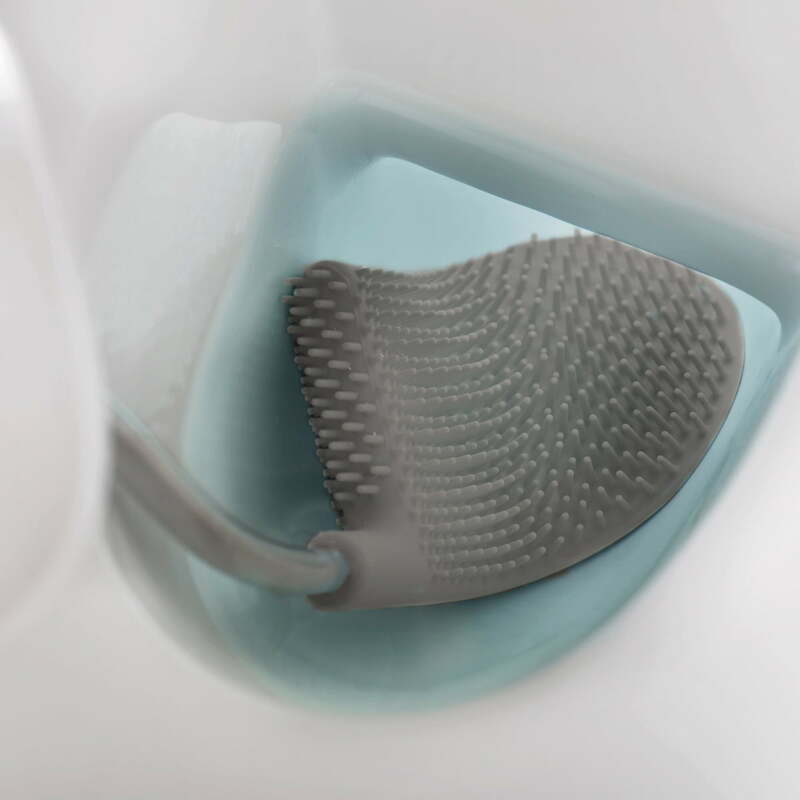 It is characterised by its D-shaped head with widely spaced plastic bristles, with which the toilet can also be cleaned in places that are difficult to reach. Due to the short bristles, no dirt remains on the head and water can easily drain off the head, so that unpleasant dripping is prevented. 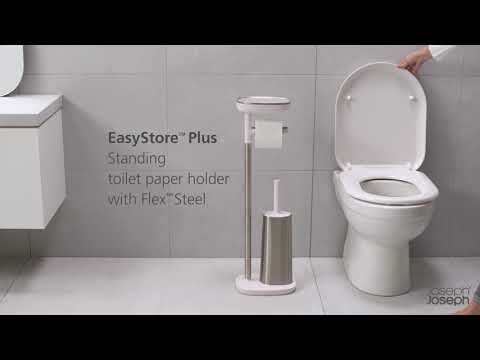 The EasyStore Plus toilet paper holder with Flex Steel toilet brush by Joseph Joseph combines two essential bathroom accessories and is also equipped with ingenious details. 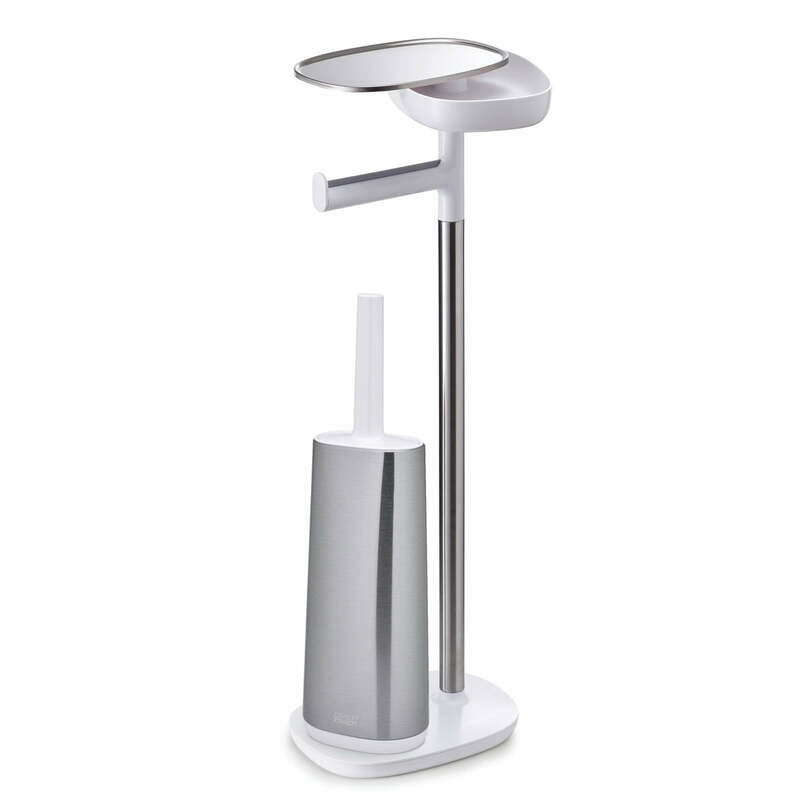 The toilet paper holder is completed by the matching Flex Steel toilet brush. 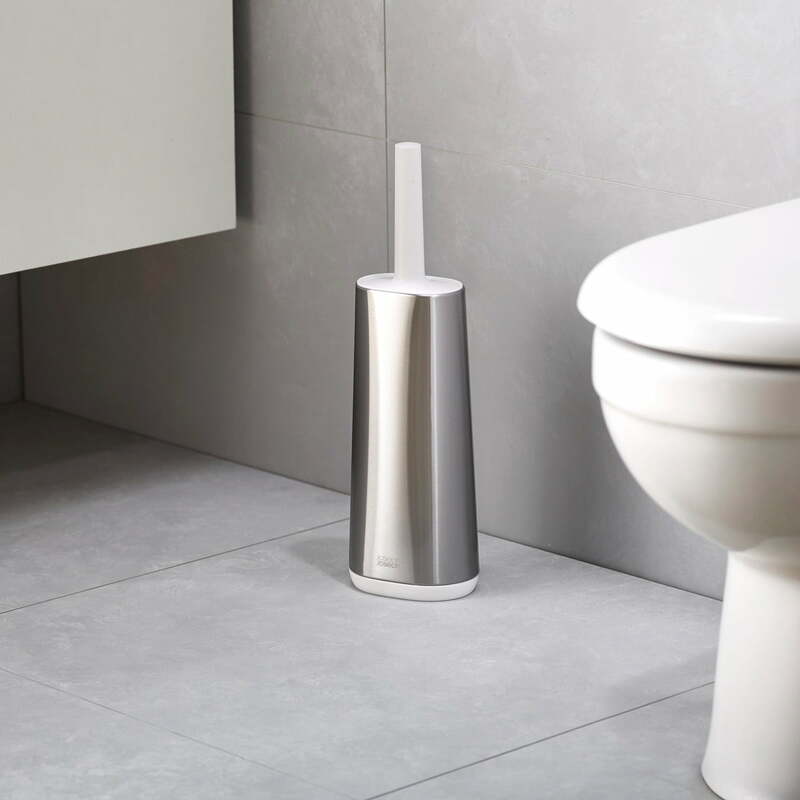 It is characterised by its D-shaped head with widely spaced plastic bristles, with which the toilet can also be cleaned in places that are difficult to reach. 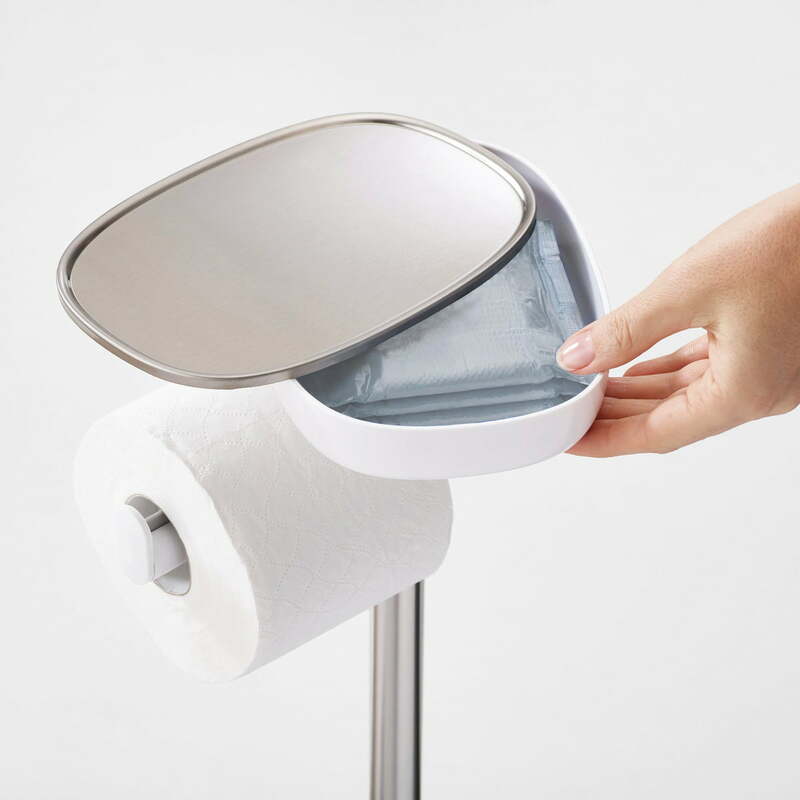 EasyStore Toilet Paper Holder: A silicone strip on the roll holder provides resistance when the sheets are torn off and prevents the paper from unrolling too quickly. Directly above the holder is a practical base for storing a book or mobile phone. It also has a small, hidden compartment in which, for example, toiletries can be stored discreetly but within easy reach.